The juice production plant has been in the Mulrine family for almost 100 years, whilst the orchard is a more recent addition, ensuring sustainability and quality product. 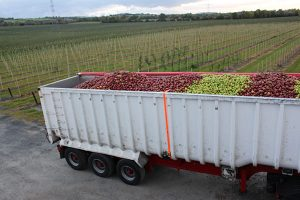 Mulrines Irish Orchards comprises of 300 acres, across two locations, just outside Kill in Co Kildare. The Orchard is home to 140,000 trees made up of 19 different apple varieties. The fruit is harvested for use in our juice production facility based in Donegal.